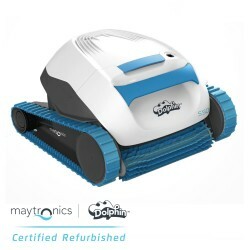 We are the exclusive reseller of certified pre-owned Dolphins by Maytronics and can save you hundreds of dollars over the cost of a new one. 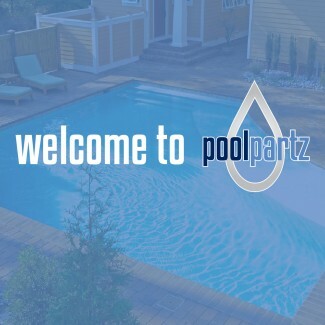 All units ship directly from the manufacturer's warehouse in Georgia, come with a one year warranty from the manufacturer, and we provide free shipping on all orders. 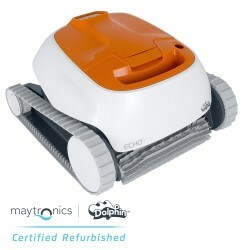 Dolphin robots are available for all types of pools and cleaning needs. 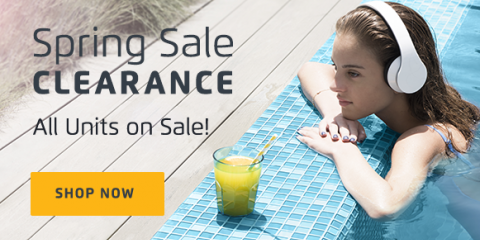 Explore all that Maytronics has to offer. 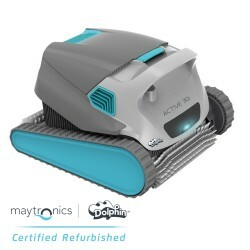 The Dolphin Active 10 is a performance above ground level model that cleans the floor for pools up to 30 feet in length. The Dolphin Active 10 is the .. 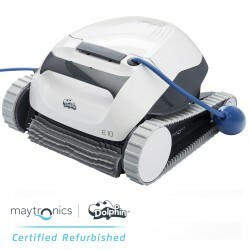 The Dolphin E10 is a performance above ground level model that cleans the floor for pools up to 30 feet in length. The Dolphin E10 is the introductory.. 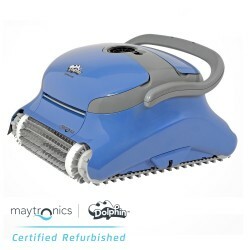 The Dolphin S50 is a performance above ground level model that cleans the floor for pools up to 30 feet in length. The Dolphin S50 is the introductory.. 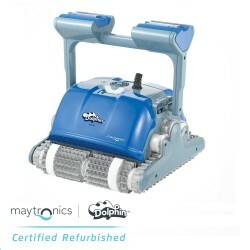 The Dolphin Echo is a performance in ground level model that cleans the floor and walls for pools up to 30 feet in length. DOLPHIN EXCLUSIVE FEATURES.. 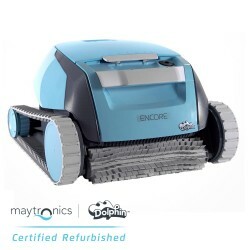 The Dolphin Encore is a performance in ground level model that cleans the floor for pools up to 30 feet in length. DOLPHIN EXCLUSIVE FEATURES Scrubs,.. 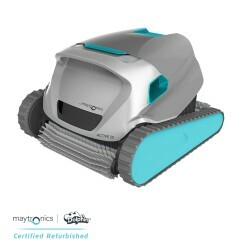 The Dolphin Nautilus CC is a performance in ground level model that cleans the floor and walls for pools up to 30 feet in length. This upgraded cleane.. 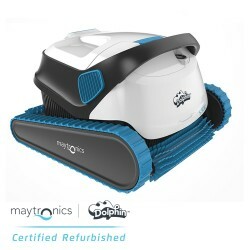 The Dolphin Nautilus is a performance in ground level model that cleans the floor and walls for pools up to 50 feet in length. The Dolphin Nautilus is.. 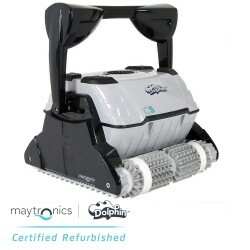 The Dolphin Saturn is a performance in ground level model that cleans the floor and walls for pools up to 30 feet in length. DOLPHIN EXCLUSIVE FEATUR.. 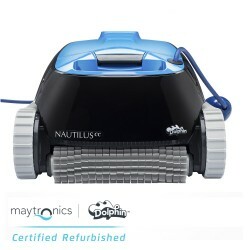 The Dolphin Nautilus CC Plus is an advanced level model that cleans the floor and walls for pools up to 50 feet in length. The Nautilus Plus is packed.. 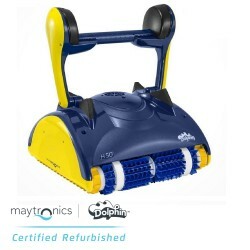 The Dolphin M200 is an advanced level model that cleans the floor and walls for pools up to 50 feet in length. 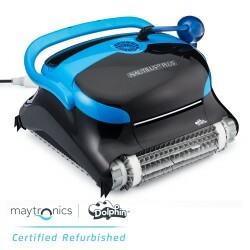 The Dolphin M200 is a lightweight and e.. 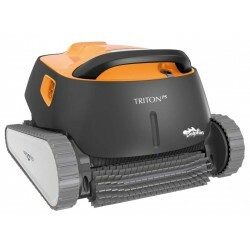 The Dolphin Triton PS is an advanced level model that cleans the floor, walls and waterline for pools up to 50 feet in length. DOLPHIN EXCLUSIVE FEAT.. 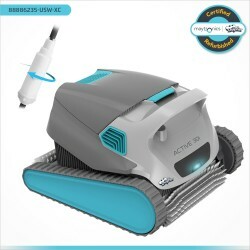 The Dolphin Active 20 is an advanced level model that cleans the floor, walls and waterline for pools up to 50 feet in length. Experience superior Dol.. 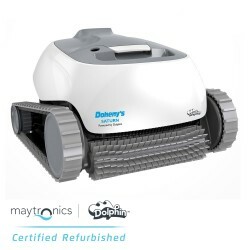 The Dolphin S200 is an advanced level model that cleans the floor, walls and waterline for pools up to 50 feet in length. Experience superior Dolphin .. 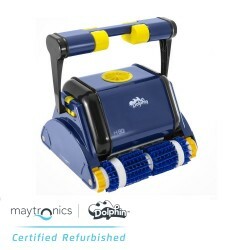 The Dolphin Active 20 swivel is an advanced level model that cleans the floor, walls and waterline for pools up to 50 feet in length. Experience super.. 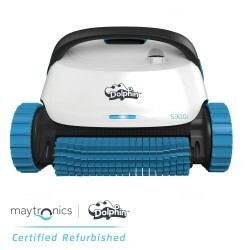 The Dolphin S200 swivel is an advanced level model that cleans the floor, walls and waterline for pools up to 50 feet in length. Experience superior D.. 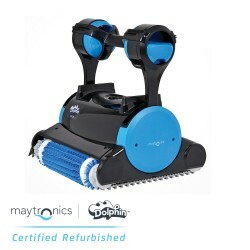 The Dolphin Triton is an advanced level model that cleans the floor, walls and waterline for pools up to 50 feet in length. The Dolphin Triton is a cl.. 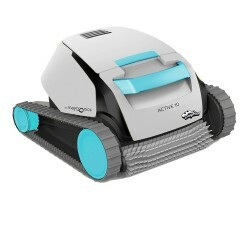 The Dolphin S300 is a deluxe level model that cleans the floor, walls and waterline for pools up to 50 feet in length. Add more convenience to your po.. 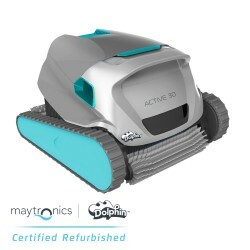 The Dolphin Active 30 is a deluxe level model that cleans the floor, walls and waterline for pools up to 50 feet in length. Add more convenience to yo.. 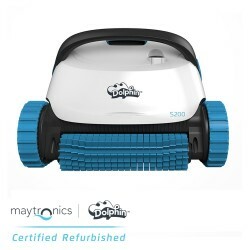 The Dolphin Active 30 swivel is a deluxe level model that cleans the floor, walls and waterline for pools up to 50 feet in length. Add more convenienc.. 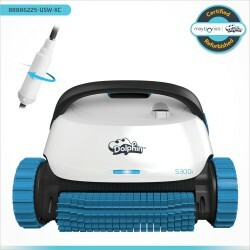 The Dolphin Oasis Z5 is a deluxe level model that cleans the floor, walls and waterline for pools up to 50 feet in length. DOLPHIN EXCLUSIVE FEATURES.. The Dolphin Triton PS Plus is a deluxe level model that cleans the floor, walls and waterline for pools up to 50 feet in length. DOLPHIN EXCLUSIVE FE.. 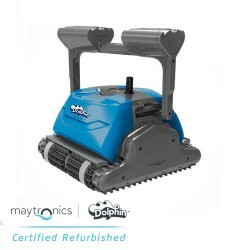 The Dolphin M400 is a deluxe level model that cleans the floor, walls and waterline for pools up to 50 feet in length. The Dolphin M400 raises the bar.. 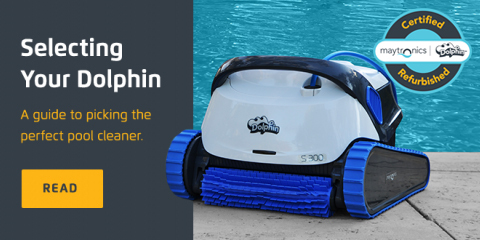 The Dolphin S300i swivel is a premium level model that cleans the floor, walls and waterline for pools up to 50 feet in length. Add more convenience t.. 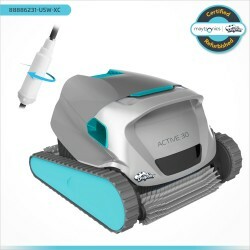 The Dolphin Active 30i is a premium level model that cleans the floor, walls and waterline for pools up to 50 feet in length. Add more convenience to .. The Dolphin Active 30i swivel is a premium level model that cleans the floor, walls and waterline for pools up to 50 feet in length. Add more convenie.. 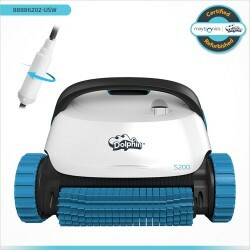 The Dolphin S300i is a premium level model that cleans the floor, walls and waterline for pools up to 50 feet in length. Add more convenience to your .. The Dolphin H50 is a commercial level model that cleans the floor, walls and waterline for pools up to 50 feet in length. DOLPHIN EXCLUSIVE FEATURES .. 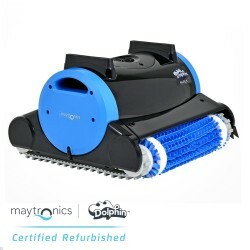 The Dolphin H80 is a commercial level model that cleans the floor, walls and waterline for pools up to 80 feet in length. DOLPHIN EXCLUSIVE FEATURES .. 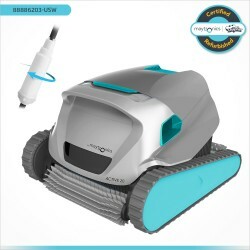 The Dolphin C5 is a commercial level model that cleans the floor, walls and waterline for pools up to 80 feet in length. Perfect for large commercial .. Which model should i buy?